In the three years since the DQSA’s Compounding Quality Act (CQA) took effect there have been significant legal and regulatory developments in drug compounding. Learn where compounders, FDA, States, Congress, and pharmaceutical companies stand on the many issues affecting this important, yet challenging, practice. Speakers will cover pressing issues such as the still-unsettled office use compounding debate, FDA’s draft guidance on “essentially copies” of approved drugs, the status of FDA’s draft MOU addressing interstate shipments, and the status of FDA’s “Bulks Lists.” An analysis of what is on the horizon for compounders from a regulatory (FDA and state inspections) and legal (actions for non-compliance) perspective will be provided. J. Andrew Harrison serves as the Vice President of Legal & Compliance for PharMEDium Services, LLC, an AmerisourceBergen Corporation company. PharMEDium has four FDA-registered 503B Outsourcing Facilities and supports the healthcare industry by enabling increased product access, enhancing patient safety efforts, mitigating medication supply issues, and simplifying compliance. As a part of his role as chief legal counsel for the business, Mr. Harrison counsels executive management on requirements for Outsourcing Facilities as the FDA continues to implement the Drug Quality & Security Act. Mr. Harrison has over eighteen years of experience in the regulated pharmaceutical and medical device industries, routinely advising firms on matters pertaining to regulatory compliance, good manufacturing practices, advertising & promotion, FDA/DEA inspections, state and federal regulatory agency enforcement actions. Prior to joining PharMEDium, he held various Quality Assurance, Regulatory Affairs and Legal leadership roles of increasing responsibility at such firms as Regulatory Compliance Associates, Inc., GE Healthcare and Baxter Healthcare Corporation. Mr. Harrison holds has an undergraduate degree in Microbiology from East Tennessee State University, a law degree from the John Marshall Law School and a Master’s of Science in Regulatory Science from The Johns Hopkins University. 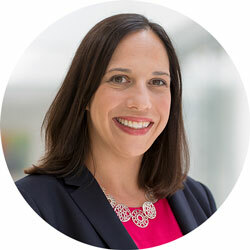 Elizabeth Jungman is director of public health programs at The Pew Charitable Trusts, overseeing initiatives related to antibiotics, drug safety, and health care products. Before joining Pew, she served as a senior health policy adviser with the Senate Committee on Health, Education, Labor, and Pensions, where she played a key role in drafting and negotiating the Food and Drug Administration Safety and Innovation Act of 2012, the FDA provisions in the Pandemic All-Hazards Preparedness Reauthorization Act of 2013, and the Drug Quality and Security Act of 2013. Before moving to the Hill, Jungman was in private legal practice, where she counseled clients on a broad range of FDA regulatory matters and other health care issues related to the human pharmaceutical industry. She has an undergraduate biology degree from Harvard College, a law degree from Georgetown University, and a master’s degree in public health from Johns Hopkins University. Karla L. Palmer focuses on DEA and FDA enforcement and litigation matters, with particular emphasis on Controlled Substances Act (CSA) issues. Ms. Palmer advises clients throughout the supply chain, from manufacturers and distributors to pharmacies and doctors on a range of issues including government inspections and investigations, warning letters, consent decrees, and administrative and federal proceedings. Ms. Palmer also advises compounding pharmacies and outsourcing facilities on all aspects of the Drug Quality and Security Act, and has closely followed developments in the law prior to and since its enactment in late 2013. Over the course of her career, Ms. Palmer has been involved in all aspects of commercial litigation. She has served as trial counsel in federal, state, and administrative courts in the District of Columbia, Florida, Illinois, Maryland, New York, Nevada, Pennsylvania, Kansas, Virginia, and before the Court of Federal Claims, the U.S. Tax Court, and Federal Energy Regulatory Commission (FERC). She also has significant arbitration and mediation experience. 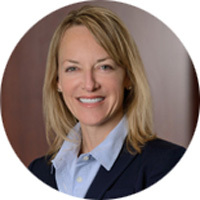 Before joining Hyman, Phelps & McNamara in 2010, Ms. Palmer was a partner at a large international law firm where she was head of the Washington, D.C. trial department and co-partner-in-charge of its national recruiting program. Following law school, Ms. Palmer clerked for the Honorable Claude M. Hilton, former Chief Judge of the U.S. District Court for the Eastern District of Virginia, Alexandria Division. She has served as both lead and local counsel in the Eastern District of Virginia.